This Shenandoah Insulated Saddle Bag is made of only exceptional quality materials. When buying a Horse Saddle Bag from us we are confident that you will be happy with our products. 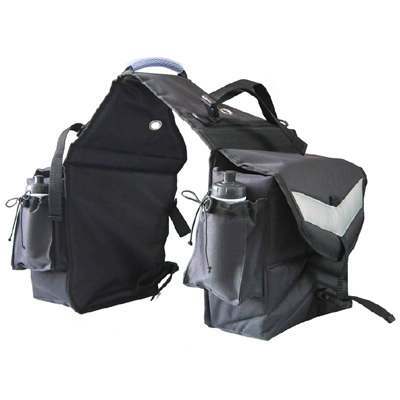 These Saddle Bags have 2 pockets with elastic toggle cord closure for sip top pint bottle. 2 outside mesh pockets. Outside cell phone and patch pockets, as well as 2 deep insulated pockets with interior pockets. We know how hard it can be to find a great deal on Horse Saddle Bags. This is why we offer all our products at discount prices to help our customers save and want to come back for future purchases.